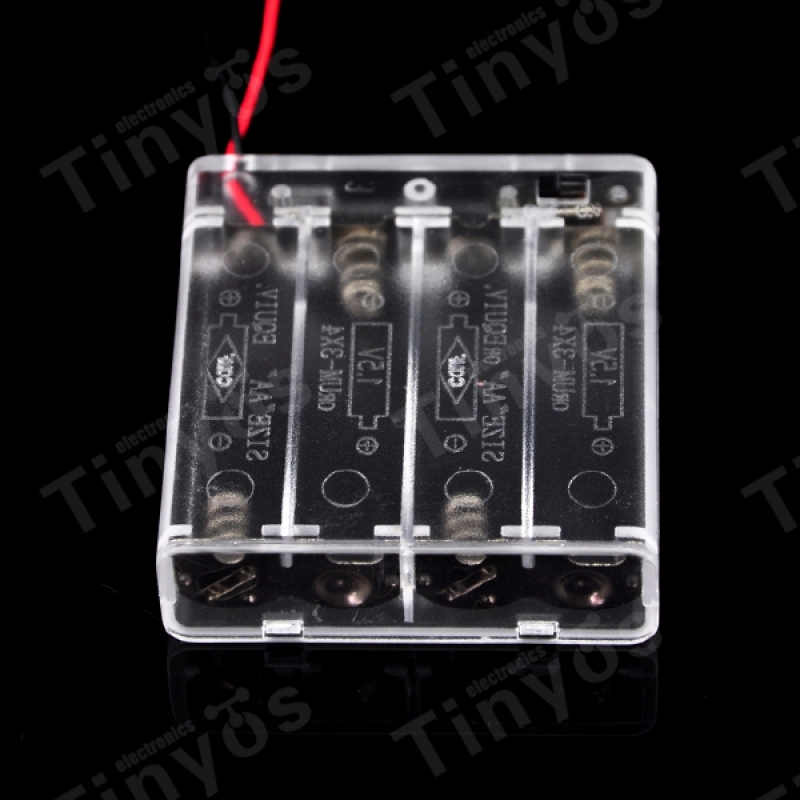 Description: This is a crystal 4 cell AA battery holder. The 150mm cable is terminated with a standard 5.5x2.1mm, center positive barrel jack connector. 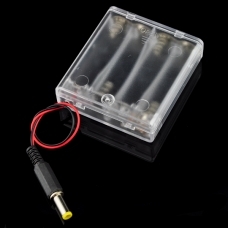 The connector mates with the barrel jack on the Arduino allowing you to easily make your project battery powered.